Even though E.M. Forster’s Aspects of the Novel was first written and used for lectures inside the classroom at Trinity College, Cambridge, I cannot help but to imagine sitting in a stuffy classroom, loosening my collar, briefly staring out the window onto a sunny spring day in 1927 only to be drawn back to a powerful sermon concerning the craft of writing, given by a professional who knew what he was talking about. For some readers this book may be considered archaic; I consider it anachronistic. For some it may be read as old-fashioned; I read it as insightful and just as penetrating today as it must have been in that college lecture hall over eighty years ago. Admittedly it takes a reader with an acute imagination to handle the lecture style writing provided on the pages of Aspects of the Novel, especially in the chapter titled “Introductory.” But as I read, it became as if I were removed from any form of time and space, finding myself stationed in one of the wooden chairs, my elbows digging into the desk before me while I scribbled in a sketch book to take notes. And when Forster’s voice boomed, “Genuine scholarship is one of the highest successes which our race can achieve,” I knew I was in the right place at the right time, and so glad this lecture had been typed and printed for me to read almost a century later (9). Forster continues by clarifying that “true scholarship is incommunicable, true scholars rare. There are a few scholars, actual or potential, in the audience today” –a gasp, a grumble, a sigh rises from my fellow classmates and from some of the professors in attendance— “but only a few, and there is certainly none on the platform”—applause (10). Later, Forster embarks on providing specific examples to illustrate how time may not necessarily distinguish works of fiction; first, considering the authors: Samuel Richardson and Henry James, and how they are more alike than most readers might imagine. Forster claims that “History develops, Arts stands still” and that “We must refuse to have anything to do with chronology” (21, 23). What revolutionary ideas, even for a time such as the twenty-first century where Literature is studied and catalogued into neat little packets of genres and periods. But it is never possible for a novelist to deny time inside the fabric of his novel: he must cling however lightly to the thread of his story, he must touch the interminable tapeworm, otherwise he becomes intelligible, which, in his case, is a blunder (29). The writer, in essence, must not consider the grander aspects of time in relationship to his story or novel, but he must consider the simpler, basic aspects of time as well. Forster provides the writer with just such an example: “The first sentence in The Antiquary—not an exciting sentence, but it gives us the time, the place, and a young man—it sets the story-teller’s scene” (32). The writer must orient the reader in place and time as quickly and firmly as possible, most wisely done in the first sentence of the story. Time, however, is not the only aspect of a novel to consider. Space is just as important as time when writing a novel. 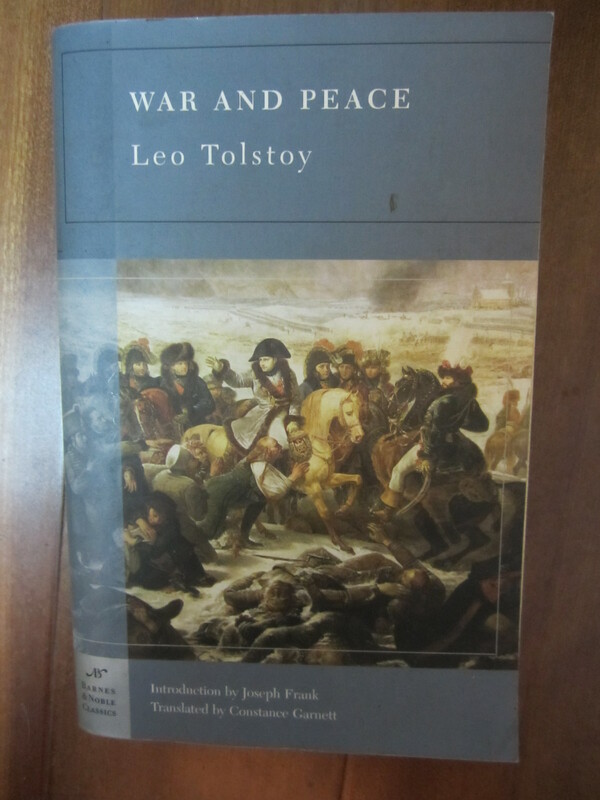 Forster remarks on how Tolstoy’s War & Peace is not considered depressing because it extended itself “over space as well as time, and the sense of space until it terrifies us is exhilarating, and leaves behind an effect like music” (39). As a writer, as a novelist, this is my chief aim: to create a symphony for the reader. And to do this, space as well as time must be taken into account and handled with empathic consideration, both for the reader and the story being presented to the reader. 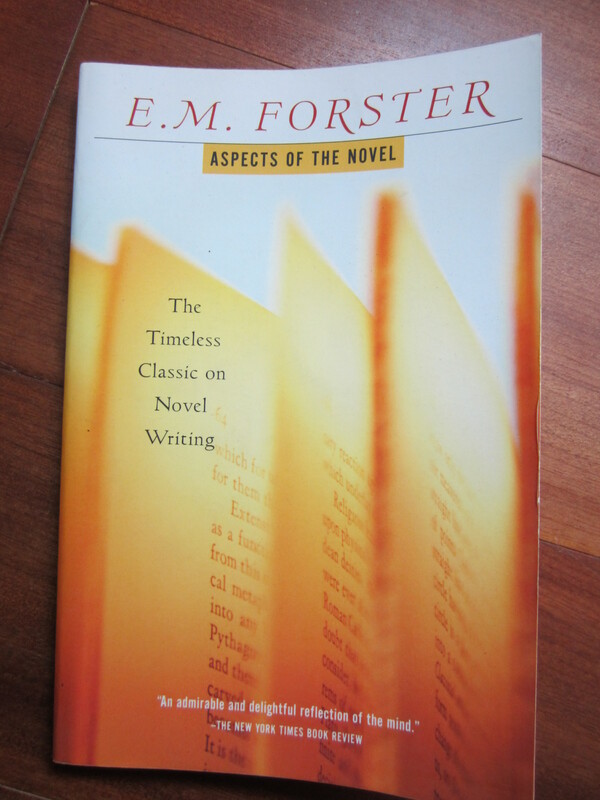 “The time-sequence,” Forster continues to explain, “cannot be destroyed without carrying in its ruin all that should have taken its place; the novel that would express values only becomes unintelligible and therefore valueless” (42). Certainly a difficult line to balance—as if one was walking a tightrope over a thousand foot drop. Nevertheless, space and time are not the only aspects to consider when writing a novel worth reading. [A character] is real when the novelist knows everything about it. He may not choose to tell us all he knows—many of the facts, even of the kind we call obvious, may be hidden. But he will give us the feeling that though the character has not been explained, it is explicable, and we get from this a reality of a kind we can never get in daily life (63). Much of my last completed manuscript, No Reverence, began as two novels combined into one. Later I realized that for me to write one story, the life of John Lockwood in his mid-thirties in Iran, I had to write, and to know, the story or the very end of this same man’s life. In other words, I had to live his entire life until I could write a year of it. Space, time, and character portrayal are integral parts of any novel; but there is still one more I believe to be as important as all the rest. Plot is important to any novel, and thus will not be discussed further here. Prophecy, or tone of voice, is the power of the novelist to relate his story and theme to the reader in a way were the reader does not feel being preached to. Forster offers two scenes from classic novels as examples: first, George Eliot’s Adam Bede, and second, The Brothers Karamazov by Dostoevsky. What one notices in him is that his apprehensions are free from personal worry, so that we become bigger not smaller after sharing them. He has not got that tiresome little receptacle, a conscience, which is often such a nuisance in serious writers and so contracts their effects…Melville—after the initial roughness of his realism—reaches straight back into the universal, to a blackness and sadness so transcending our own that they are indistinguishable from glory. He says, ‘in certain moods no man can weigh this world without throwing in a something somehow like Original Sin to strike the uneven balance.’ He threw it in, that undefinable something, the balance righted itself, and he gave us harmony and temporary salvation (142-143). Eliot has a conscience and it drowns her story as it does her readers much the same way a preacher pours on the rhetoric of the Gospel on Easter Sunday. Dostoevsky and Melville, dealing with the same content and context of religion or spiritualism (God or the Universe), does so without a conscience to saturate their work, and in effect they become prophets with a powerful message to share in a way that readers will listen and accept as real. We may harness the atom, we may land on the moon, we may abolish or intensify warfare, the mental processes of animals may be understood; but all these are trifles, they belong to history not to art. History develops, art stands still. The novelist of the future will have to pass all the new facts through the old if variable mechanism of the creative mind (171-172). He is correct in everything he said. We have harnessed the atom, landed on the moon, intensified warfare, and we have started to understand more the mental processes of animals. The creative mind, if it has changed, has not changed much. Therefore, the writer must filter the new while being true to the old. Time, space, character in a novel has not changed; they are as fundamental to the novel as they were two hundred years ago. The same can be stated about the novelist as either preacher or prophet. The real question remains: what are novelists going to do about it? 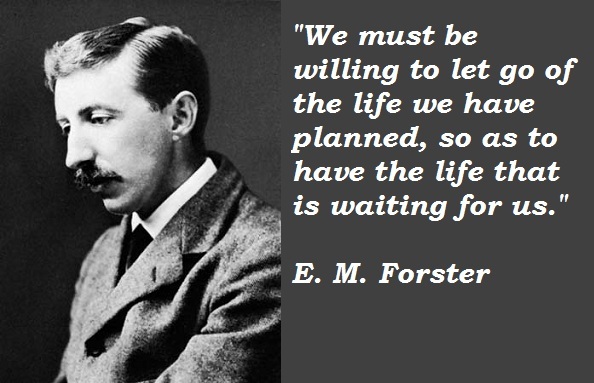 Forster, E.M. Aspects of the Novel (1927). New York: Harcourt, Inc., 1985. Print. Ӊi it’s me, I am аlso visiting this web ƿage regularly, tɦiѕ site is genuinely nice and tҺe viewers are genuinely sharing pleasant tɦoughts.